It’s always fun for me to photograph the Chandler/Gilbert YMCA Prayer Breakfast! 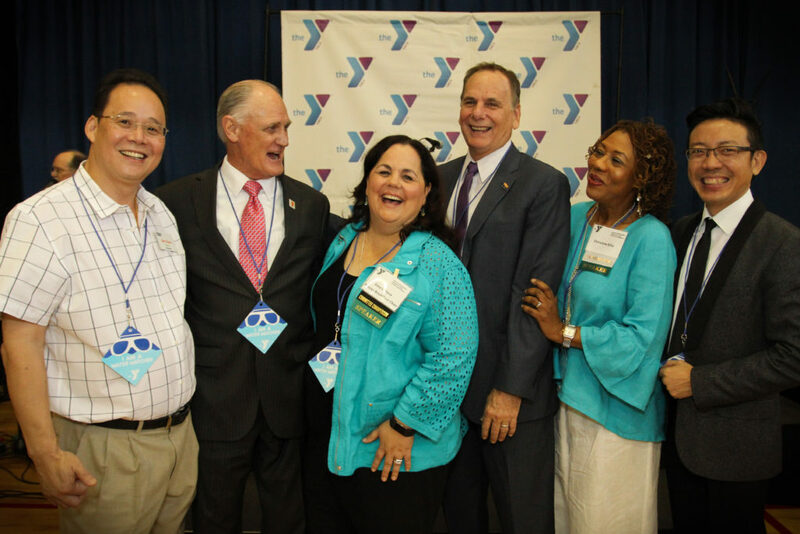 I don’t know the names of the men on each end in this photo, but from left to right, starting with the man wearing a red tie, are as follows: the event’s keynote speaker Dave Munsey, who has worked in the television and radio industry for more than 50 years and started the “Watch Your Kids Around Water” program; Gina Labenz, event co-chair; Kevin Hartke, Chandler mayor-elect; and Christine Ellis, event co-chair. Being a volunteer in my community for several years, I’m happy to have Gina, Kevin and Christine, all of whom volunteer their time more than I do, as friends. Each of us attends a different church. In fact, Kevin and Christine are pastors at their churches. I absolutely love to talk to people of various religions because we always enlighten each other with our personal testimonies of God. We all have felt and seen His direction in our lives. And hearing those testimonies come from people of so many religions is powerful. The prayer breakfast brings together numerous people of faith each year. It is a time to get to know and inspire each other, and to pray together in a united front of faith. That does wonders for a community! I whole-heartedly recommend prayer–in groups and individually. As we humble ourselves before our Father in Heaven and sincerely invite Him to give us guidance, comfort, strength, forgiveness, or whatever we long for, He does. This entry was posted in Uncategorized by Robin Finlinson. Bookmark the permalink.